"Silence is the most important part of my music making. Original recording format PCM 88.2kHz. All other formats are converted versions of the original. 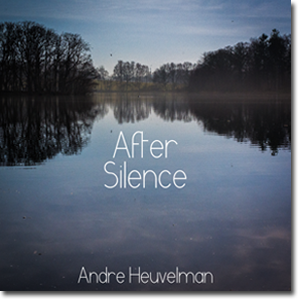 Andre Heuvelman is one of the worlds leading trumpet players. On this recording he plays together with The Live! Orchestra. An orchestra consisting of some of the finest musicians available in Europe. After Silence was recorded with the musicians playing together in the same room, without headphones.The reason being that in our opinion that creates a number of musical and technical benefits....... The musicians interact much more as they would do in a concert situation...and as they are not ''separated'' by headphones the musicians are forced to create a musical balance...the need for compression to control levels is no longer necessary...we can use a minimalist microphone setup and there by reduce phase problems...since everybody is in the same room, the boxed sound which is so common in many modern recordings is absent...the sound of the room helps ''glue'' the sound of the recording. That sounds like an easy solution but bear in mind that in order for this to work:e studio has to have a good sound.....the musicians have to be very good and well prepared as it is very difficult to repair mistakes because of the ''cross talk'' between the instruments....we have to be very precise when choosing and placingthe microphones...and the puzzle of placing the musicians at the right distance to the main stereo microphone pair and at the right distance to each other is very time consuming. Recorded at Studio Eleven (Hilversum) on April 16, 2013. This recording is made for and with lovers of high-end audio recordings. This is a TRUE Studio Master file. It's a one to one copy of the master file (88.2kHz/24bit). No conversion of any kind has taken place. What you are getting is what we, the technicians and the musicians,has created in close collaboration.You are in other words hearing exactly what we are hearing here in the studio. Thanks to Rhapsody Hilversum for giving us the possibility to audition the mix on different audiophile speakers (TAD, Magico) and for their advise and eternal patience.